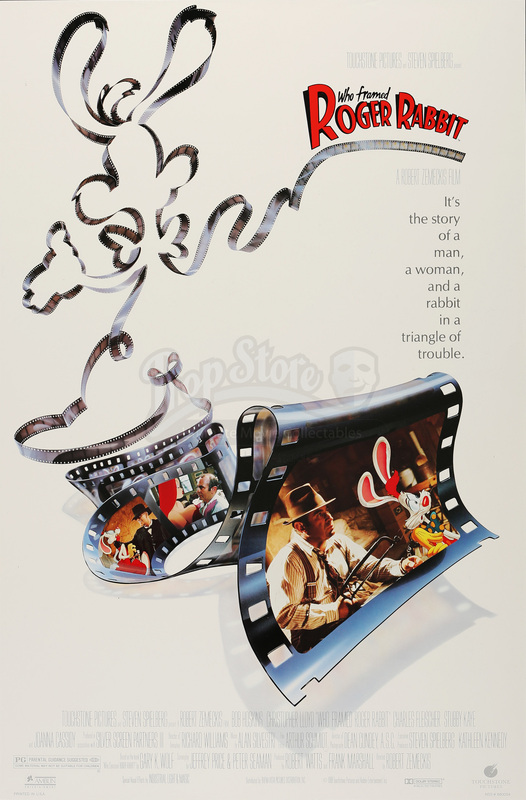 A one sheet made to promote Robert Zemeckis' 1988 comedy Who Framed Roger Rabbit. 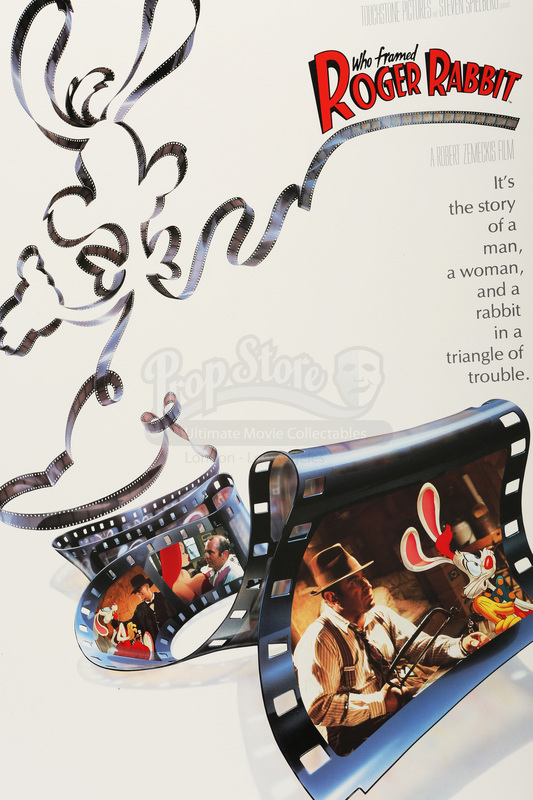 This one sheet features the film's logo with a a line of film making the shape of Roger Rabbit. 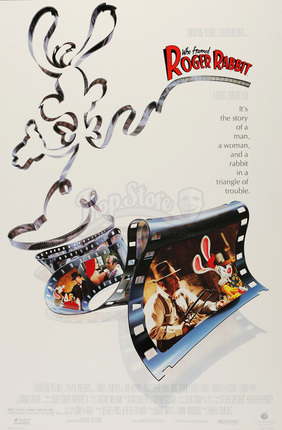 Segments of the film show various scenes from the film. 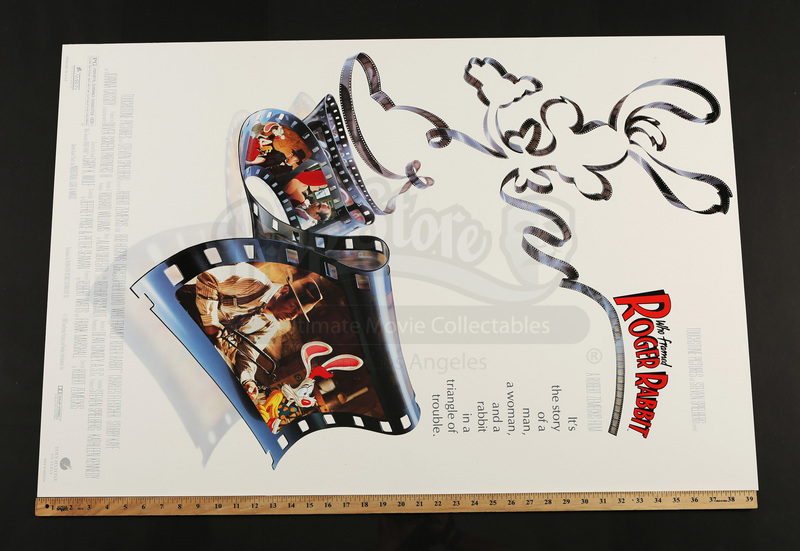 Showing some signs of wear, including minimal creases from storage, this poster is in overall good condition.